I found my notebook at Target. It is just a simple spiral notebook with a couple of dividers. I use the first section for Main Dishes; the other 2 are for Sides and Sweets. It’s a great time to find the perfect notebook with all the school supplies on the shelves ~ you might even find a sale! First I stamped the mixer and utensils on a white card stock panel and colored them with my Copic markers. The stamps are from A Muse Studio. I added “recipes” with stickers, but you could easily stamp the word instead. I then distressed the entire panel with brown ink, adding more to the edges. I covered the entire front of the notebook with brown striped paper. Then I attached a panel of green patterned paper and brown polka dot paper on top of that. The stamped piece is layered onto the brown polka dot paper. I tied a green corduroy button with brown embroidery floss and attached that along with another button to the bottom right corner. I also added patterned paper to the back of the notebook just to give it a finished look. 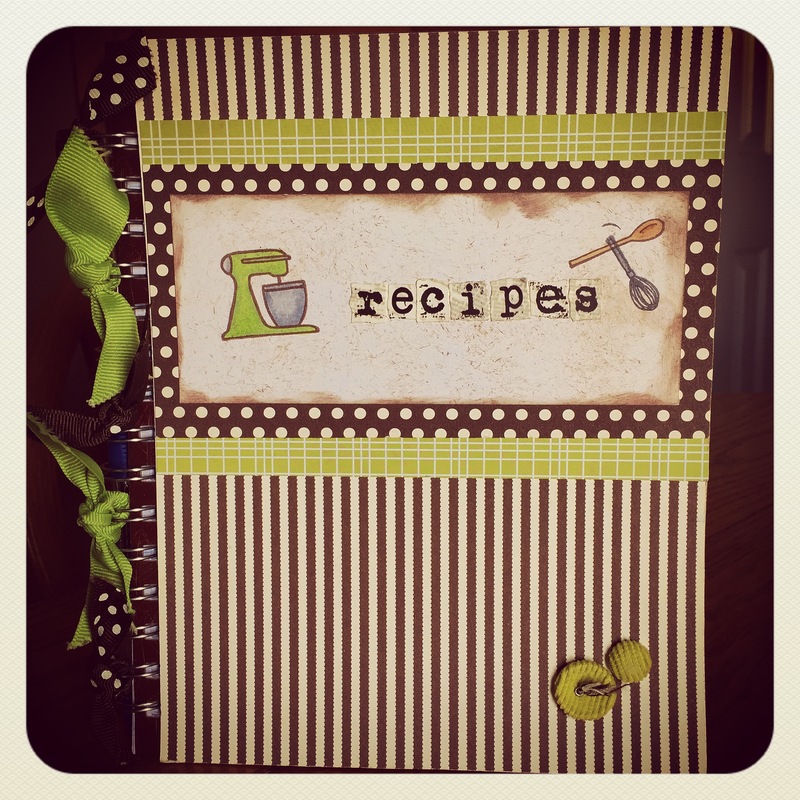 Add a few pieces of ribbon knotted onto the spiral and you have a cute way to organize those favorite recipes! 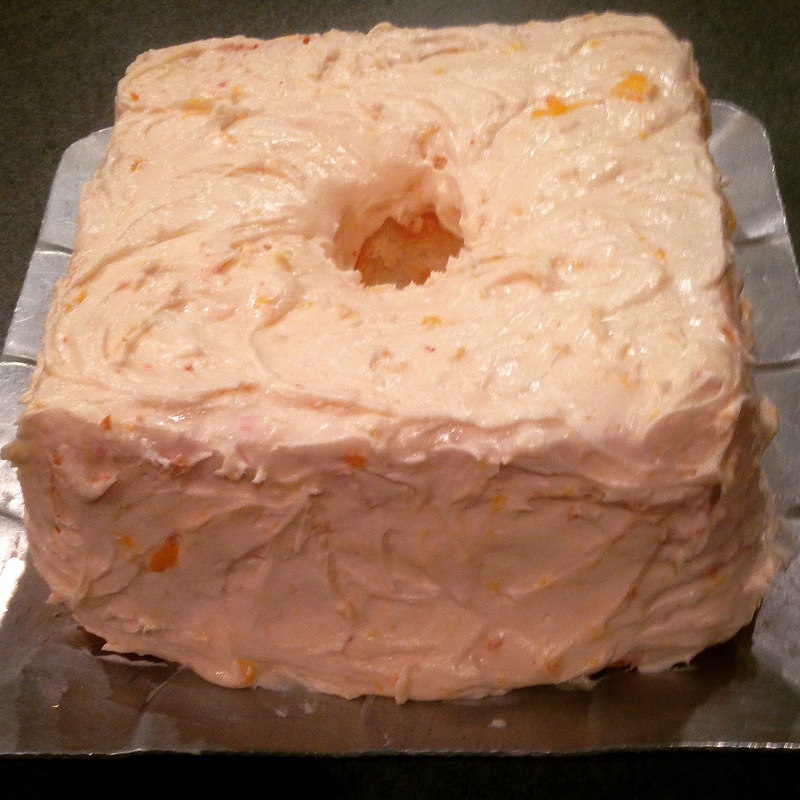 Here’s a simple icing recipe that my husband always requests for his birthday. I put it on Angel Food cake and it is amazing! Cream butter with your mixer until smooth. Add about 1/4 of the powdered sugar and mix well. Add 1/2 of the peaches and the vanilla, mixing well. Continue to mix in powdered sugar and peaches until the icing reaches a spreadable consistency, adding a little milk if needed. Just yummy! You can change the fruit to strawberries or raspberries. Or leave out the fruit and add some unsweetened cocoa powder for chocolate icing. Or make it chocolate-raspberry! Or leave out the fruit and add another teaspoon of vanilla for some amazing vanilla icing…use your imagination and just enjoy!!! This entry was posted in Gifts, Organization, Recipes. Bookmark the permalink.